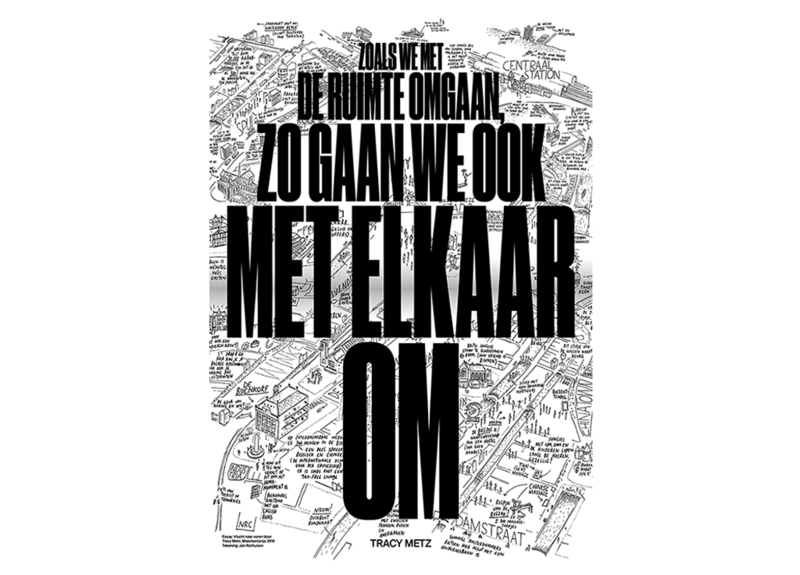 Tracy Metz (journalist, author en presenter) is the winner of the Grote Maaskant Award 2016, a biennial prize for a person that stimulates the debate on architecture, landscape and urban design by publications, teaching or commissioning. 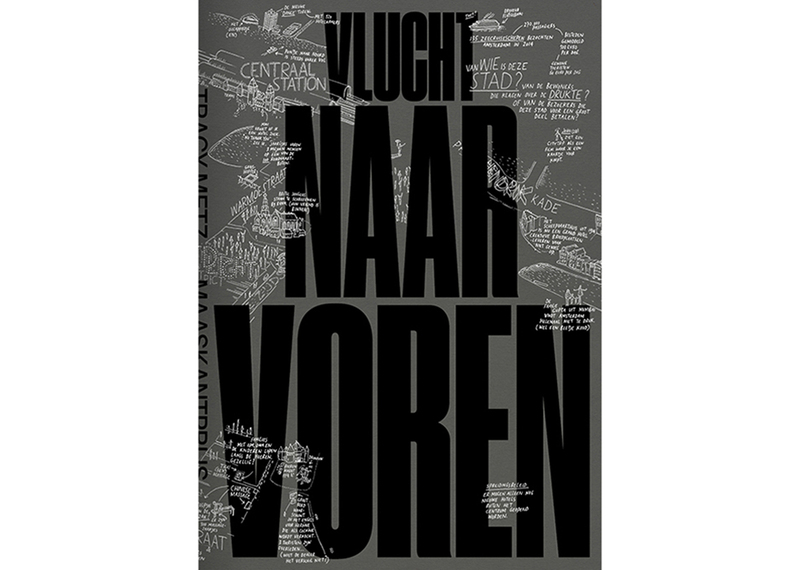 For this special occasion she developed the multimedia project ‘Tracy in Nederland‘ (Tracy in the Netherlands) and she wrote the essay ‘Vlucht naar Voren‘ (A Flight Forward). 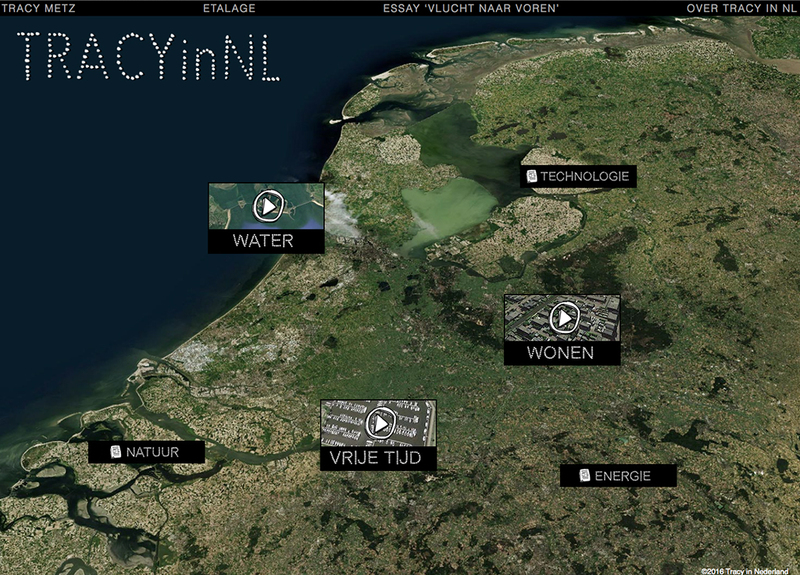 In ‘Tracy in Nederland’ she takes the viewer on a journey through the Netherlands. 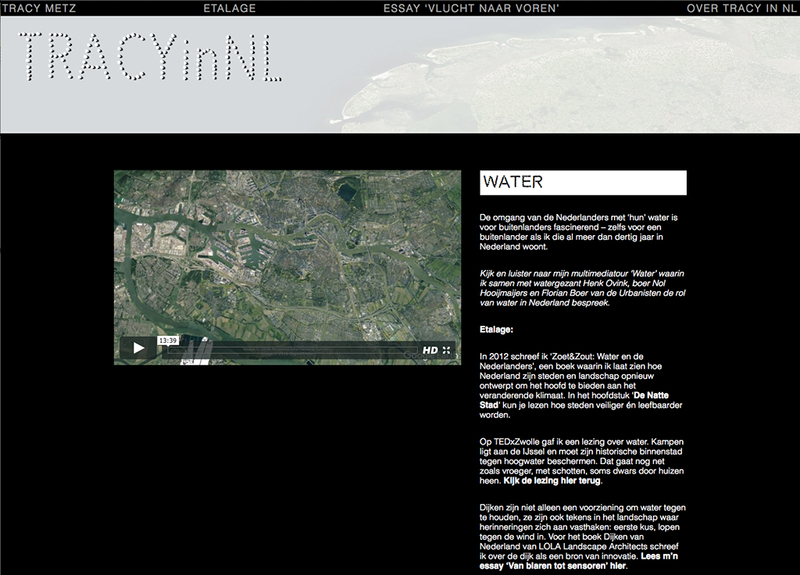 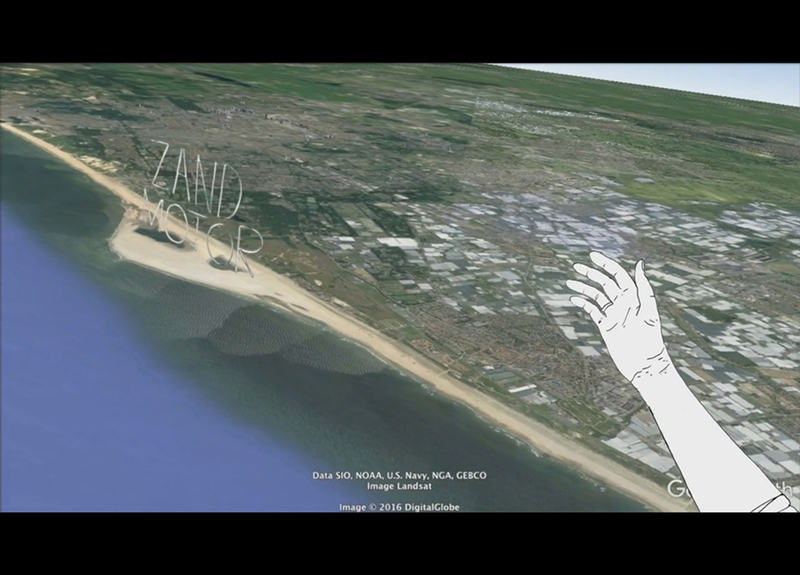 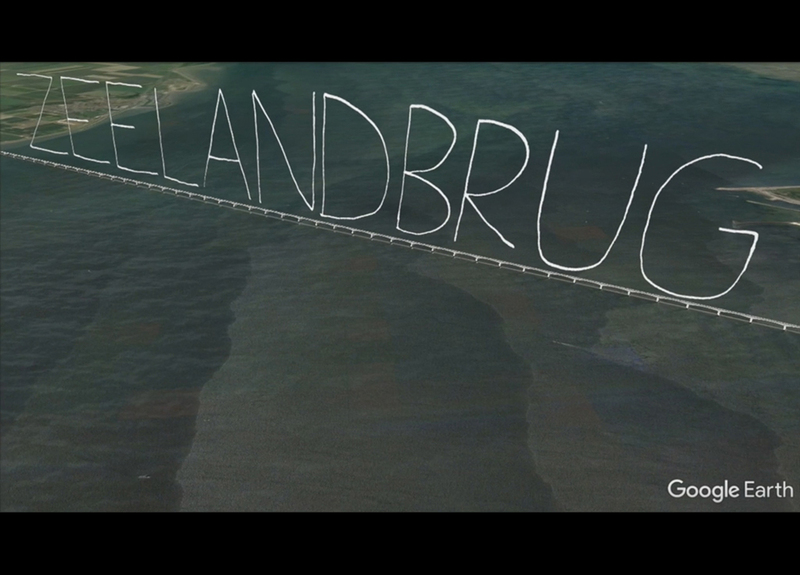 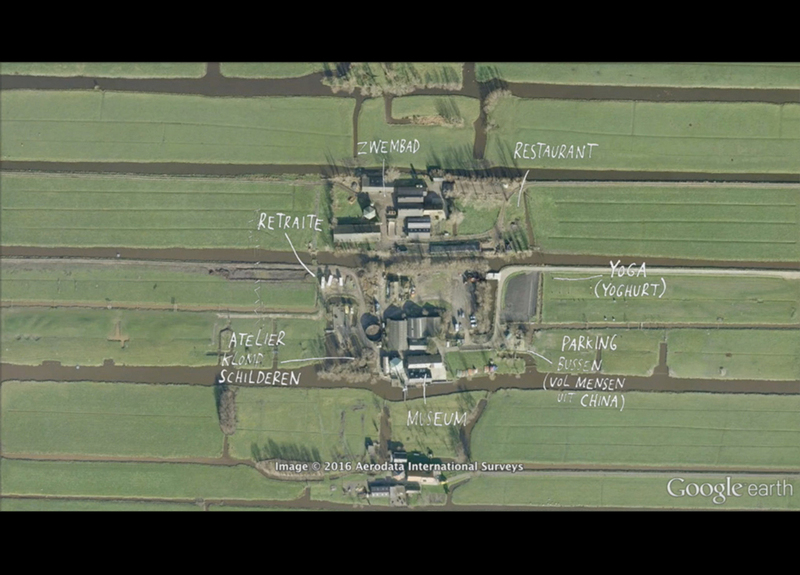 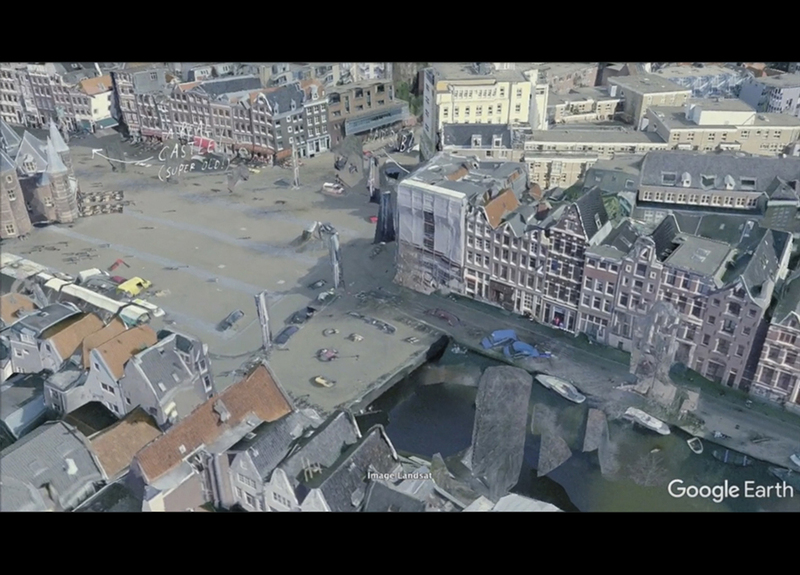 Flying over the country using Google Earth you listen to audio tours with interviews with, among others, Arnold Reijndorp (Maaskant Prize winner 2012), Henk Ovink (special envoy pf water) and Hans Mommaas (director PBL). 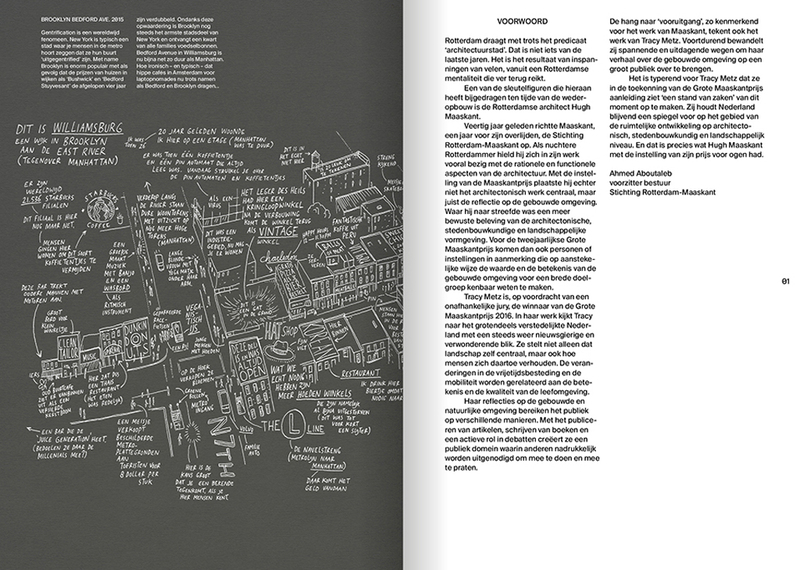 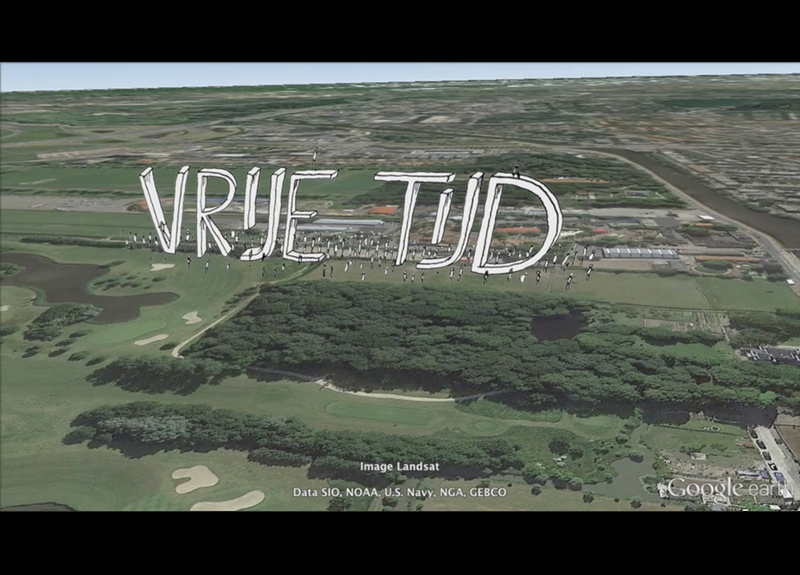 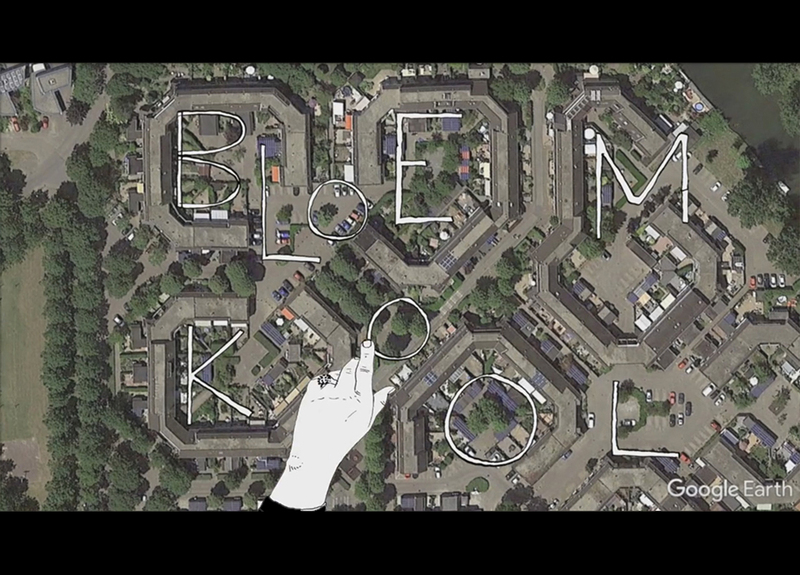 Typographic elements of Jan Rothuizen create special relationship with the built environment. 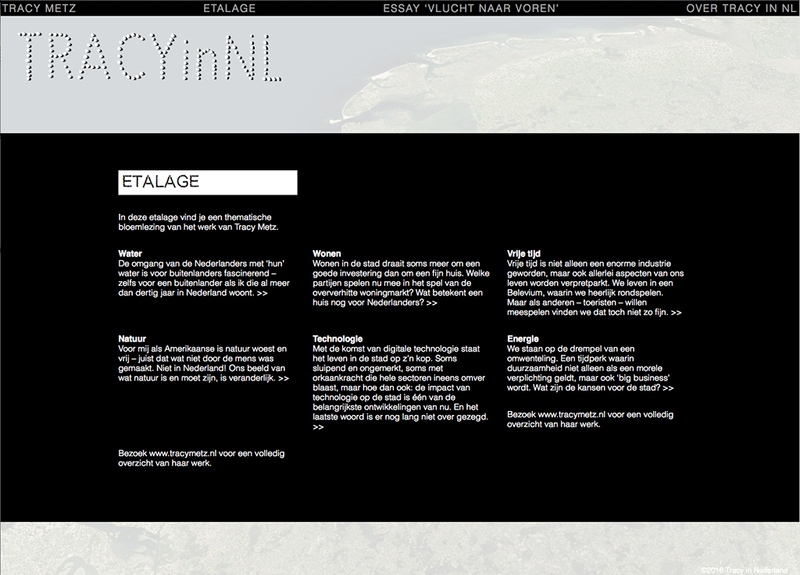 Also, you can find a showcase with a collection of key pieces from her work.